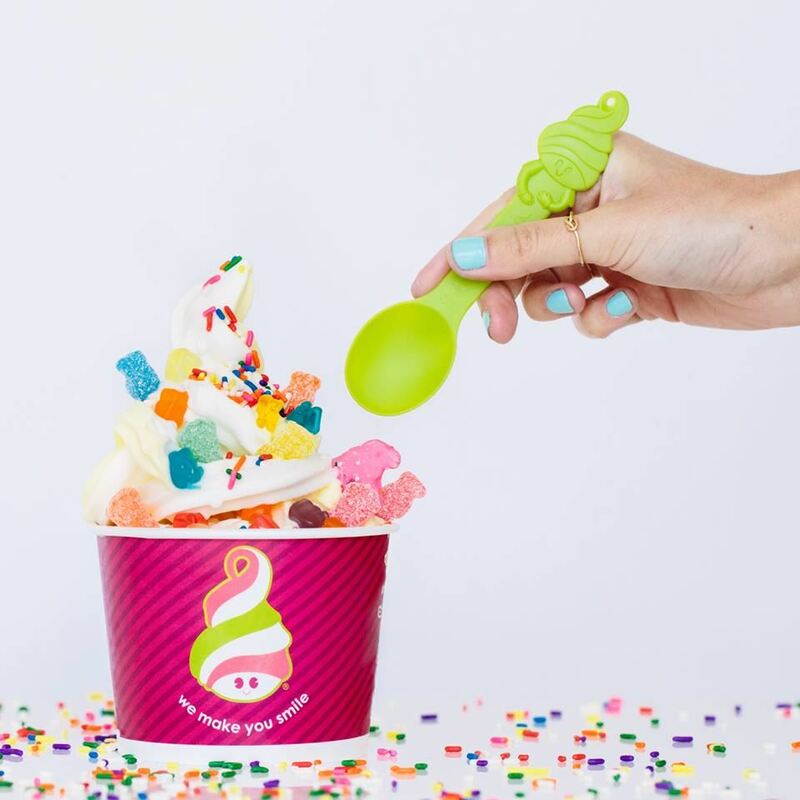 Menchies' has 14 different flavors everyday most always including a sorbet, a low carb/no sugar added, a couple featured flavors, an original tart yogurt, plus the ever favorite Pure Chocolate and Vanilla Snow. Plus, there are gifts for the little ones...stickers, coloring sheets, and tattoos and games for all ages. Our 32 dry toppings, 12 chill bar toppings including fresh fruit cut daily, and sauces are sure to add just the right touch to your frozen yogurt mix.